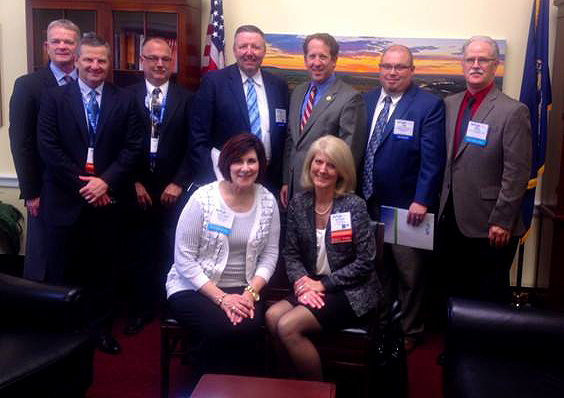 Rhonda Maun and Dan Caldwell were in Washington D.C this past week attending NTCA’s Legislative and Policy Conference. In addition to attending the scheduled Association meetings, Rhonda and Dan joined NTCA CEO Shirley Bloomfield in hosting a dinner with clients for Nebraska Senator Deb Fischer and also attended a dinner for South Dakota Senator John Thune. On Tuesday, they both accompanied an impressive group of more than a dozen Nebraska client representatives to visit with various offices of the Nebraska congressional delegation. The visits were an opportunity to share thoughts on current telecom policy issues surrounding universal service reforms and video retransmission consent processes.